Shapes such as circles, squares, rectangles and triangles are the basics which every child should know. Shapes are used in so many aspects of everyday life. Help your children and students learn the various basic shapes at an early age with this free tracing activity worksheet. 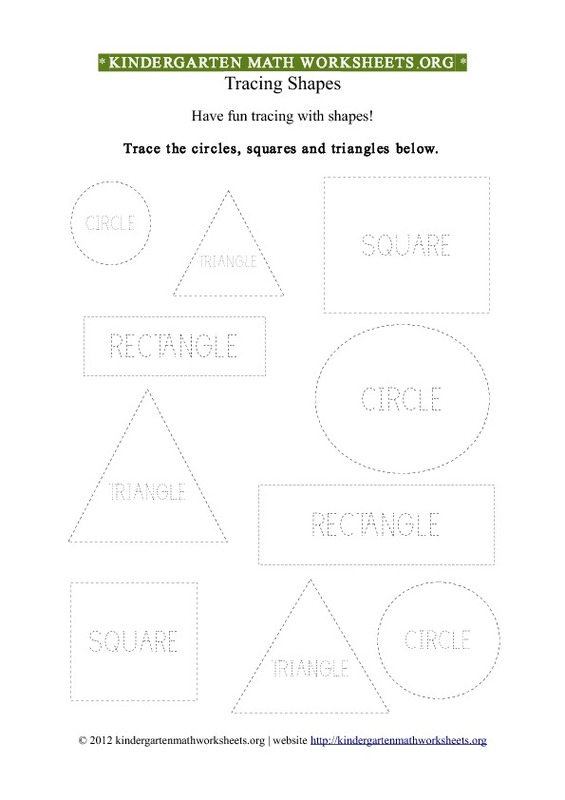 Description of worksheet activity: This worksheet contains various shapes ( circles, triangles, rectangles and squares ) for tracing and basic shape recognition. This worksheet is in printable format suitable for kindergarten. This free printable kindergarten worksheet with shape pictures is created specially for shape recognition and tracing. It also includes letter tracing for each shape name. Kindergarten shapes worksheet - Circles, Rectangles, Triangles and Squares shape recognition / tracing activities. Download the free printable pdf Kindergarten Shapes Tracing Worksheet.